Air Conditioning Repair New Braunfels: Should You Shade the AC? Can Shading Your AC Compressor Save Money? 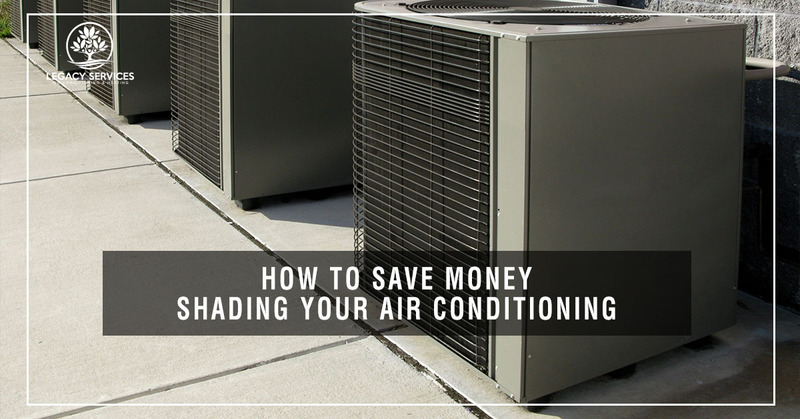 If you read our previous blog, you may have picked up on the subtle hint we left that indicated how a bit of shade could make for a less energy-consuming transfer of heat from your home to the outdoors, which naturally means that shade could save you some money as you run your air conditioner this summer. Today, we’ll tackle this oft-asked question and its complicated set of answers! If you expect that standing outside with a parasol for your AC compressor would make a difference on your home’s energy bill, then you’re probably going to be disappointed. Still, there is something to be said about the power of shade on your home’s energy bills; today, we’ll show you how shade could save you a couple of bucks, while also debunking some shade sources you should probably avoid. Here we have the first and most likely source of shade for your home’s air conditioning compressor. If you have a large tree that provides enough shade to keep the entire area around your air compressor largely veiled in the shade, then you’ll enjoy a somewhat lessened energy bill. You see, a large tree could provide a substantial reduction in temperature to the air around your compressor, which is really what you’re looking for in compressor shade; that is to say, you want to shade much of the air and ground, not just the compressor itself. The problem with a big tree by your air compressor is that you, by default, now have a big tree near your home. 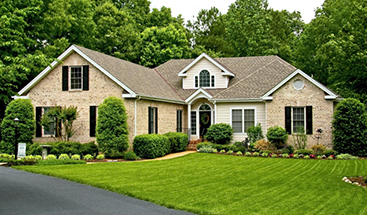 Any home inspector would caution you to never keep a big tree in close proximity to your home for any reason, let alone to save a few dollars on your energy bills. Not only can a tree cause damage to your home, it can also act as a bridge for rodents and other pests, and even pose a substantial risk to your compressor itself should a branch ever fall upon it! All in all, we wouldn’t recommend keeping a big, overgrown tree just for the shading benefits it provides your compressor, as it isn’t worth the other risks. This is one of the most common questions we get, as a compressor-sized pergola or roof addition could, in homeowners’ minds, provide some energy-saving shade. Unfortunately, however, a small shade producer for your air compressor isn’t really going to achieve you anything. Basically, it isn’t the compressor itself that needs a reduction in temperature, but the air around the compressor that actually matters; most homeowners do not have a project of this scale in mind when they imagine a little shade for their compressor. As mentioned above, it would take shade the size of a large tree to make any sort of difference and, even then, the difference is pretty negligible, as the air temperature will still be fairly high. If you’re still considering a compressor shelter, then take a look at how much time and effort it would take to build, then compare the relatively low sum of money you’d stand to save, even should it work. We estimate that any shade or shelter that would make any shred of difference on your compressor’s efficiency would probably take longer than the compressor’s life to pay itself off in saved energy costs. Finally, a word to the wise: Never allow your shelter, for summer heat or winter’s off-season, to cover the unit entirely, especially where the air flow enters and exits the compressor unit! People have a misconception that the sun is always directly overhead at “high noon,” when that’s really only close to true for a couple of weeks a year. Here, in the United States, we live in the Northern Hemisphere of the globe, meaning that the sun is typically found in some variation of the southern sky. This means that the sun rises somewhere in the east or southeast, then sets in the west to southwest; so, if your air conditioner compressor is placed close to your home near a north-facing wall or corner, it will get much, much less direct sunlight. In fact, this area of your home will naturally find more shade throughout the hottest months, which actually take place when the days aren’t at their longest and the sun is not overhead. Of course, moving your air conditioning compressor can be a daunting task, but this could be something to think of if you’re ever replacing the unit or purchasing a new home in the New Braunfels area!